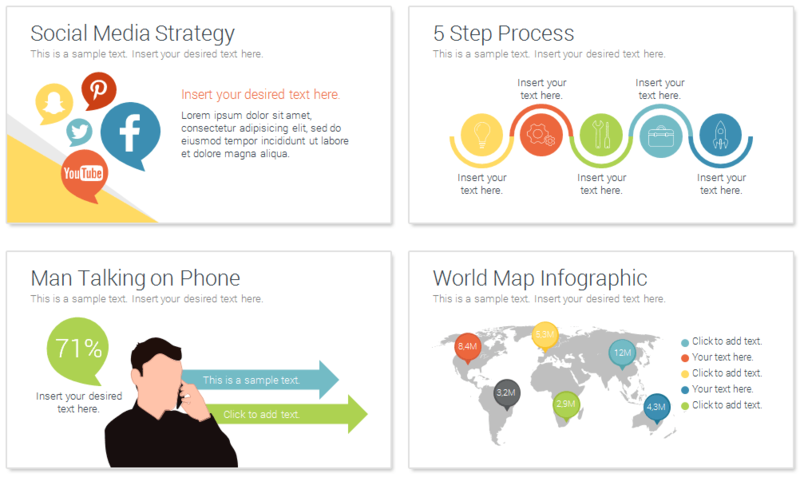 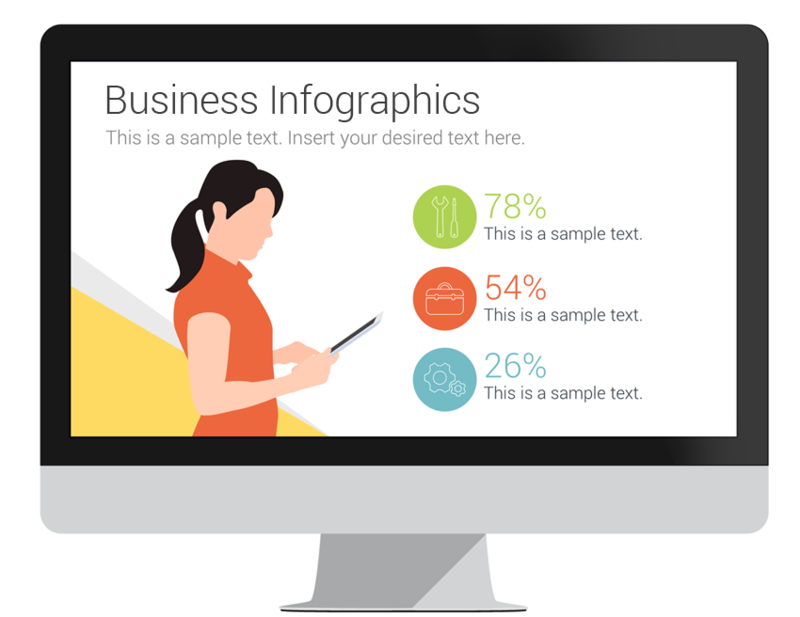 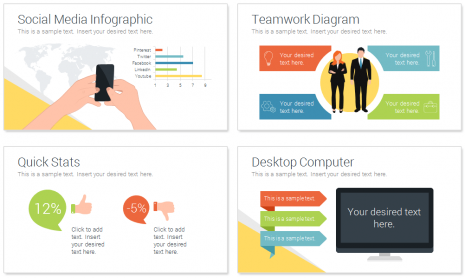 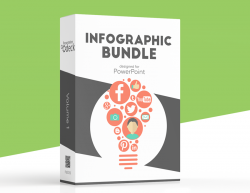 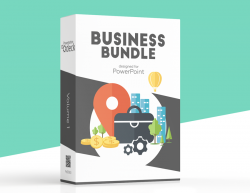 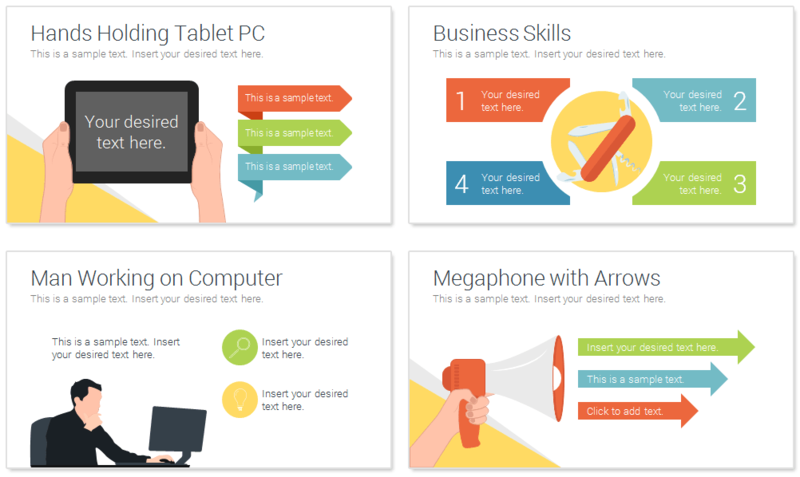 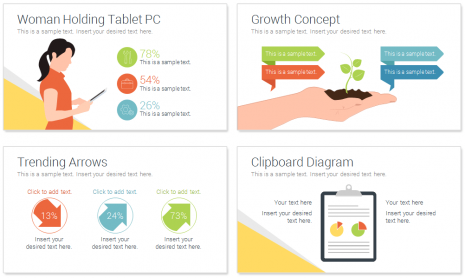 Business infographics for PowerPoint with 16 pre-designed slides including trending arrows, people with devices, grow concept, business skills, social media infographic, and more useful slides. 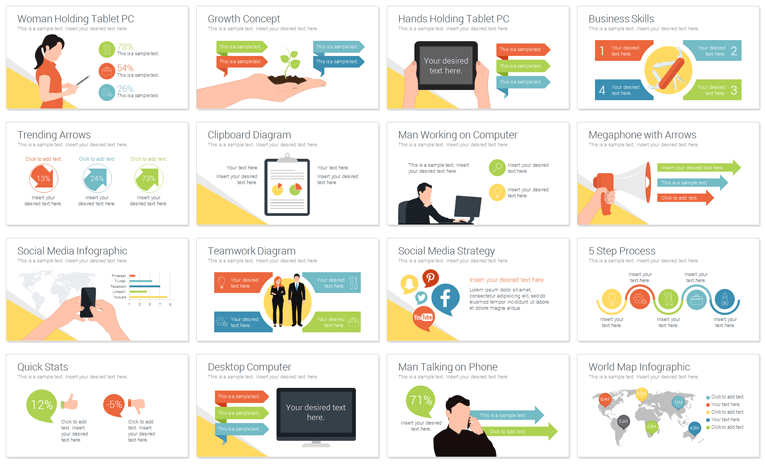 This template could be used for a wide range of topics and are fully editable. Create unlimited slide variation; you can modify shapes, text, and colors in the slide master view in PowerPoint. 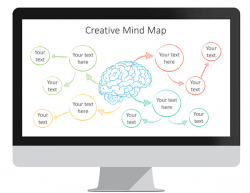 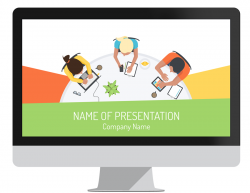 Your business presentation starts here.